Green Office is an independent document solutions provider that works to add value and reduce waste in medium to large sized businesses. The company is able to manage entire printing environments, all the way from supplying materials, to recycling and remanufacturing waste products, and everything in between. Green Office's purpose is to make businesses more efficient and sustainable. Green Office was started and remains a KwaZulu-Natal based business. The founders and current shareholders of Green Office believe in the principle of a win-win situation, between all stakeholders. 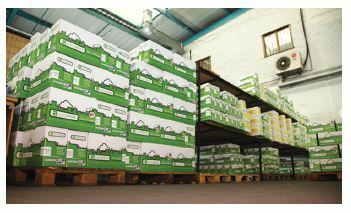 Green Office started as a remanufacturer of laser / toner cartridges in Durban. The differentiator and motivator being that Green Office could save customers at least 30% of their printing costs and at the same time make a living for the people that it employed and its shareholders. The best technology and intellectual property was sought from around the world and Green Office was born. The foundation of the business was always something the leaders of the business sought to ensure was solid, the cornerstone of this being its VALUES: Passion, Responsibility, Innovation, and Integrity. Every interaction, with whoever Green Office interacts or deals with, is hoped to be a positive and memorable experience, where true value is shown to the client. What this all means is that Green Office has now progressed from just a production company of remanufactured cartridges, to a collector and processor of e-waste, a servicing and reseller of printers and copiers, a software development house and a managed print and consulting service. Green Office is the founder of greenABLE, a nonprofit organisation with an 18A certification that creates employment and skills development opportunities for previously disadvantaged individuals with disabilities. This is the only initiative of its kind in Africa. 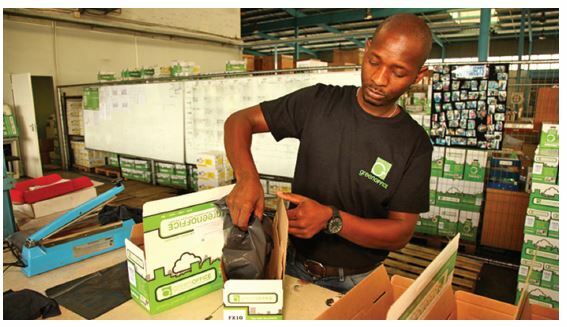 Located in KwaZulu-Natal, greenABLE's recycling initiative sees beneficiaries working to clean and dismantle collected printer cartridges, allowing for the units to be completely recycled. Through this initiative, over 475 tons of waste has been diverted from landfill sites to date. Through its work in the three main areas of recycling, cartridge collection and skills development, the organisation helps to address social, economic and environmental challenges and gives beneficiaries the ability to lead financially empowered lives while also making a meaningful contribution the environment. equivalent), internships, learnerships and bursaries. GreenABLE currently incubates 31 previously disadvantaged individuals with disabilities. The programme has now been expanded to GreenPAC, which takes the plastic from the recycling in greenABLE and turns it into a usable raw material in the form of plastic pellets for plastic injection moulding companies. This material is sold on. Currently, the company is in the process of developing a product to make internally from this plastic, thus ensuring that the Green Office strategy of backward and forward integration through its supply chain is followed. The commitment to environmental awareness and governance ensures that these unique initiatives continue to innovate, at the same time creating more jobs. 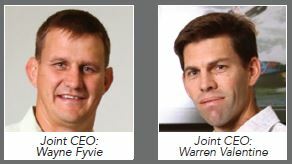 Currently, Green Office employs 160 people directly, another 40 indirectly through greenABLE and GreenPAC and then through the informal collections brokers at least another 20 people. Green Office is ISO 9001 AND 14001 accredited, ISTM accredited as well as a Proudly South African company, reflecting its commitment to corporate governance, quality and to the local economy.